This is kind of a left over type of meal. Just see what you have left in the fridge after your week of meals, sautee it all together, and then stuff it into the center of a chicken breast! 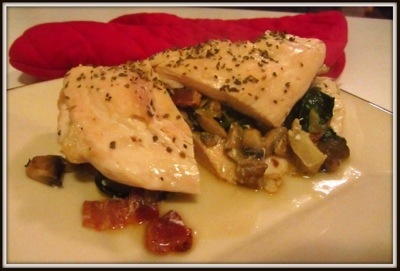 Serve with a side of roasted brussell sprouts and you are good to go! 1. Chop up your bacon into bite size pieces. You can cook the bacon and then chop, but I think its easier this way. Cook until nice and crispy and take out of pan and onto a paper towell. 2. Keep the bacon fat in the saucepan and add your chopped garlic. 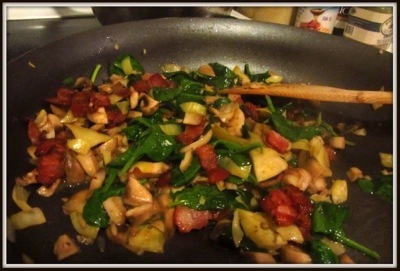 After just a minute, add your chopped mushrooms and cook unitl soft. 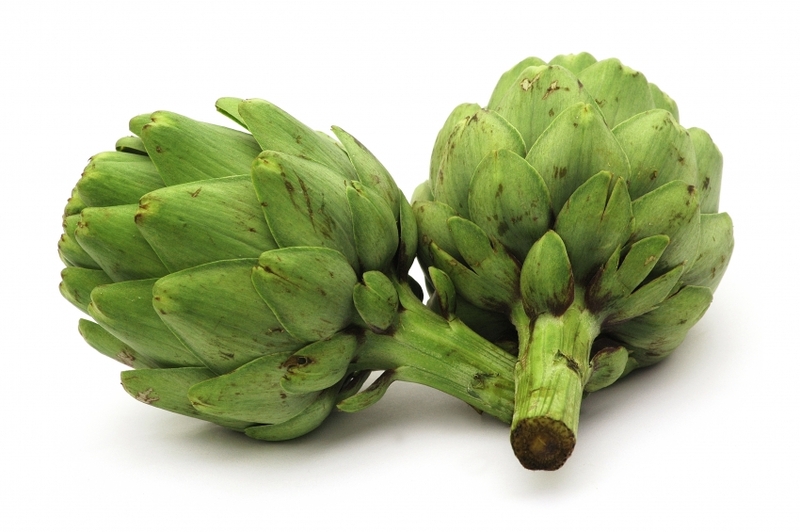 Add your chopped artichoke hearts. 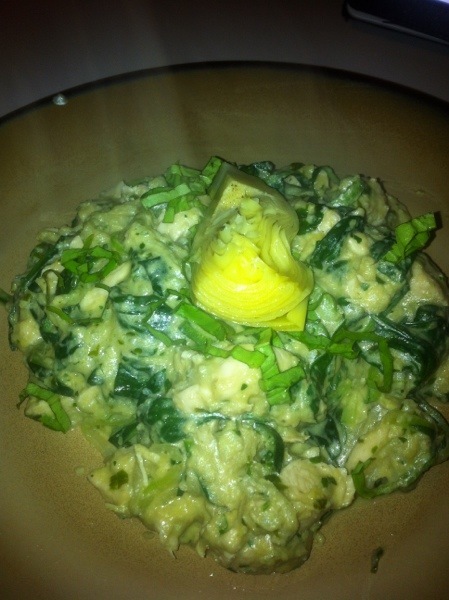 Throw in your spinach and when the spinach is wilted and everything is combined together your ready to stuff! 3. 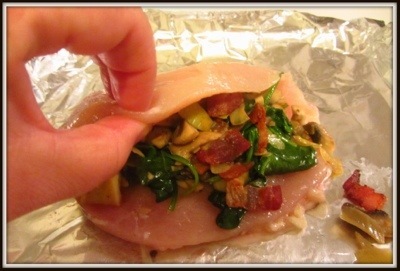 Take your chicken breasts and cut them in the middle so you create a pocket. 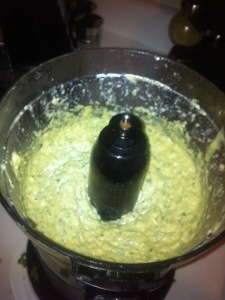 Stuff the mixture inside and then close them with toothpicks. 4. Cook at 375 for about 30 minutes. That’s it! 5. 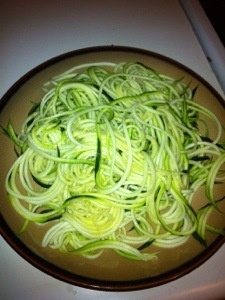 Serve with any vegetable- I prefer roasted brussels. I would have put bacon in the brussels but its already in the stuffed chicken. But if you dont mind bacon overload- throw that in with the brussels. Delish!